We started this year’s Systems Leadership course with Joe Hogan, CEO of Align Technology. Joe was the perfect first guest to open the quarter as he touched upon many of the issues we will cover over our nine sessions. In some ways, Align is a 20+ year overnight success — founded in 1997, the firm first reached annual sales of $1 billion in 2016. Today the company has a market capitalization of over $21 billion and is expected to have revenues approaching $2 billion in 2018. 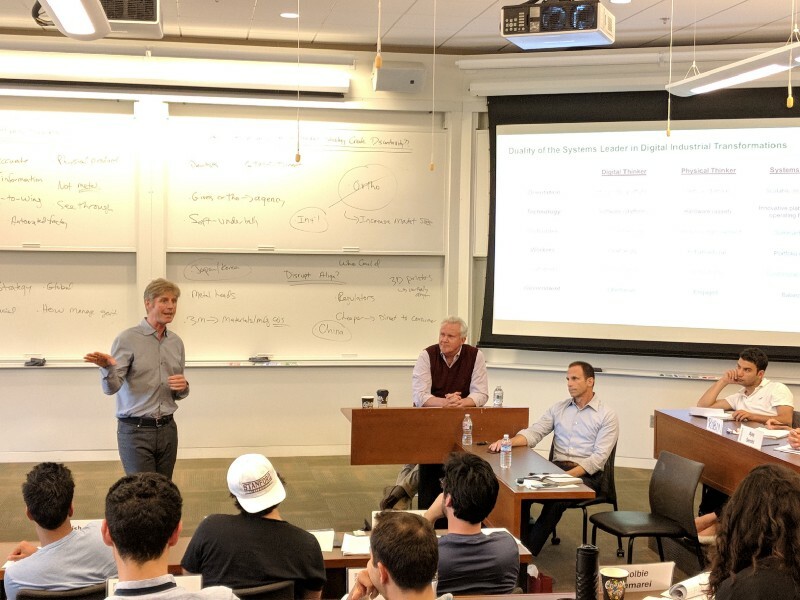 The theme for Hogan’s class session was Adapting Business Models — exploring how companies dealing with the digital industrial transformation need to change how they think about monetization given a blend of digital and physical solutions for customers. Hogan shared how Align is achieving this goal on a global scale. One of the most courageous and difficult business models that a company can attempt to implement is to tie its revenues to delivered outcomes of customers. In most business transactions, goods and services are paid for at a set price or based on usage — once one company convinces another to do business together, the firm providing the goods or services knows that, barring bankruptcy or an outlier event, they will get paid. One of the downsides of this business model is that the nature of this commercial relationship between entities is, at its core, transactional. This is not a problem, per se; but, for several decades business leaders have known that the economic value of developing long-term relationships with customers is more profitable than those relationships that are solely transactional.Studies have shown that if a company can hold on to a customer for an extended period of time, the impact to profits can be over five times higher when compared to gaining a new customer — through both ongoing business relationships and positive reputation effects that lead to new customers. The power of focusing on customer outcomes is made even more impactful when it is accomplished through the combination of both technical innovation and also new business models. When these two vectors are exploited simultaneously, the ability to achieve high quality improvements for customers becomes a tremendous barrier to entry for others, who must thus battle on two fronts against a leading provider. Align may epitomize this idea since their success is driven by a very easily measured outcome: straightening each individual patient’s teeth. As one of the largest users of 3D printers in the world, the company ships out over 350,000 unique and customized plastic aligners every day for individuals on a global basis. Through the firm’s digital scanning technology, which is used by dentists and orthodontists, Align is able to create “units of one” at an unprecedented scale and deliver their product to individuals worldwide with a very clear and understandable outcome — the patient’s teeth get straightened — or they don’t. As physical products become increasingly digitally connected and deliver a higher percentage of value through software, companies now have the ability to communicate directly with customers on an ongoing basis. But, perhaps more importantly, the combination of software plus hardware enables not only additional sales opportunities, but also the ability to provide an intimacy between customer and supplier where value delivered can be increasingly and constantly measured. However, in a world where companies sell goods and services based upon customer outcomes, which is increasingly possible through software, data analytics, and measurable results, customers have an incentive to stick with a supplier that helps meet a firm’s financial goals — top-line growth, delivered operational efficiencies and, ultimately, increased profits. Align is enabling dentists and orthodontists to cost-effectively serve not only the existing market for teeth straightening (largely teenagers), but also to address new customers such as men and women in the 35–60 age demographic. Since teeth straightening is the core value of what orthodontists deliver to patients, and is also a new growth opportunity for dentists, Align is pinning its future growth on delivering a better solution that is easily understood and seen literally by tens of millions of people all over the world on a daily basis. In leading the company’s disruption, Align needs to simultaneously explain the product’s new capabilities to orthodontists, but not be slowed by any resistance to the current way that teeth are straightened. The company therefore needs to embrace those orthodontists who understand the value of what Align offers, it must continue to educate those orthodontists who will take a bit longer to utilize Align’s technological innovation, and they must also open up new channels (e.g. dentists) to ensure that the company can achieve its continued rapid growth. Financial theory argues that the idea of adding risk (“Risk On”) should be done in times of stability and low volatility, and risk should be avoided (“Risk Off”) when markets are in flux. 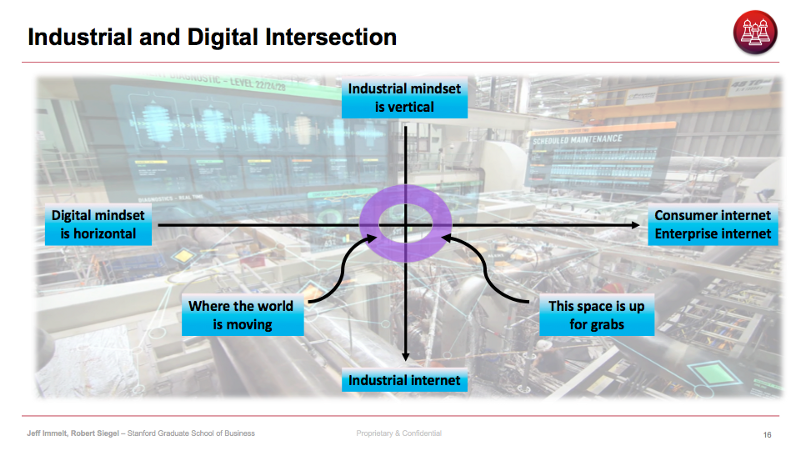 In the current digital industrial transformation, we argue that now is the time to consider the opposite — at a time when there is extreme volatility in digital industrial markets, the ability to develop long-term relationships with customers through delivered results creates an opportunity for increased profits and produces a tremendous barrier to entry against competitors. If a company has the ability and courage to put its revenues at risk based upon delivered results, when successful, the long-term interconnection with customers should lead to more reliable and dependable revenues, higher profits and lowered selling and marketing costs for an organization. What makes this particularly difficult for today’s Systems Leaders is that executives need to make two simultaneous adjustments to current operating rhythms — implementing a new business model based upon ideas such as delivered customer outcomes, and also fighting the financial notion that one should not add risk during a time of high market volatility. But this difficulty, experienced at a time of discontinuous change and technical innovation, is the exact time that leaders need to make aggressive moves in order to win in the next cycle of digital innovation. Tomorrow’s winners in the digital industrial space will be those who change not only their products and organizations, but also their business models at this critical juncture. Align has thrived by embracing this philosophy with relish. They have opened new channels in North America by enabling dentists to do the one thing that they had been previously trained not to do — straighten teeth. They figured out how to blend a wide variety of skillsets — materials science, digital software capabilities, manufacturing at scale, global distribution, blending both B2B and B2C marketing, and go-to-market strategies, etc., in ways that others have not. One core principal of product development is that the more envelopes one pushes simultaneously, the higher the probability there is for failure. Align realized that their opportunity has been to upend the conventional process of how teeth are straightened by coming up with a better product, a better mode of distribution and a global footprint to make this happen. The company has taken risk on multiple vectors, but has used it to establish a leadership position that is being rewarded by the public markets for its execution success. In some ways, Hogan is straight out of central casting as a Systems Leader — he understands both products and commercialization at incredible depth. He is both broad and deep: his time at GE informed his knowledge of plastics, healthcare and industrial automation, his period running ABB added to his capabilities of leading a global business as the CEO of the organization, and now at Align he is able to take his skills as a “product picker” and apply them to a growing company that has the opportunity to blend many of the themes we discuss in this course — the blending of digital and physical, a focus on customer outcomes, building an organization around a changing global workforce, and operating at intersections of large and small, physical and digital, etc. That said, Hogan also needs to be aware of who might disrupt Align — new entrants from other parts of the world (particularly from Asia), 3D printing companies that might choose to vertically integrate into their space, companies that are leaders in materials science who may attempt to go into this market, as well as any organization that figures out how to sell these products and services directly to consumers at scale. Just because one is disrupting a market at a moment in time doesn’t mean that the next attack isn’t right around the corner. Over the next few sessions we will continue to drill down on these issues and will post our learnings at www.systemsleadship.io. Annika Ravald, Christian Grönroos, (1996) “The value concept and relationship marketing”, European Journal of Marketing, Vol. 30 Issue: 2, pp.19–30.